First seen at Toyfair 2018, we now have official confirmation that the previously seen S.H. 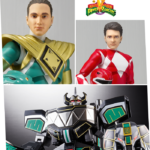 Figuarts Helmetless MMRP Green & Red Rangers will be released at San Diego Comic Con 2018! Confirmed by the Bluefin Brands Tamashii Webpage, they promise more info will is on the way. 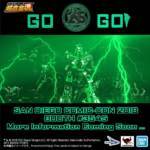 They, like the simultaneously revealed SOC Black Megazord, will be available at the Bluefin Brands Booth at SDCC 2018. We’ll confirm pricing once more info is available. The Power Rangers continues its 25th anniversary celebration at this year’s annual San Diego Comic Con event. Bluefin Tamashii Nations – known for their stateside release of S.H. 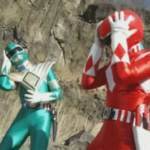 Figuarts and most recently the Soul of Chogokin Megazord – have teased their exclusive for this year. A simple image of the Soul of Chogokin Dragonzord standing in front of the Dinozords from Soul of Chogokin Megazord. The Soul of Chogokin Dragonzord is set to release this August and will combine with the Soul of Chogokin Megazord. The Soul of Chogokin line is akin to a “masterpiece style” release of robotic nature items featuring accurate-to-source-material detail with diecast parts and increased articulation. If the Legacy Dragonzord impressed you, the Soul of Chogokin Dragonzord will blow you away. We have no details as of yet to what this release will detail. Stay tuned for more details and information as it comes available. I had the extreme pleasure of attending San Diego Comic Con 2017. This was my fourth year attending and covering the event for our network and every year by the time you go home you’re left dizzy from everything you’ve just experienced. As the sole representative of TokuNation.com my primary focus is to cover all things tokusatsu related, or in the case of American entertainment, that means Power Rangers. 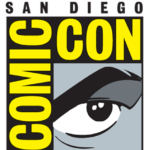 San Diego Comic Con is the largest pop culture convention in the entire world. The number of attendees ranges upwards of 100,000 guests and anyone who has attended the convention will tell you that is no “generous number” … it’s a reality. And this year whispers are it was the largest convention ever. Literally every major entertainment company, regardless of whether or not they have their own convention earlier or later, brings their A game because this is the one time a year that the entire world is watching in anticipation for what you have to show. This year the Power Rangers brand failed to not only to capture any of the magic or attention they might have acquired from their major motion picture release earlier this year, they failed to show up at all. Please click “Read More” for our in-depth analysis of why this wasn’t just one of the worst years for Power Rangers at San Diego Comic Con but why it may be the worst ever. Did you miss anything we’ve covered from San Diego Comic-Con 2017? We have you covered. Below you can find every SDCC 2017 story we’ve posted from our entire network. Over the course of the show, we’ve shared over 4,600 photos with our readers across all of our sites. Here is our round up of every news story during San Diego Comic-con 2017. Check out the stories below and enjoy! 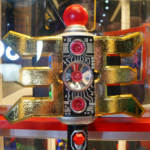 Check out 13 high resolution images of the Legacy Golden Power Staff by clicking the title of the story. 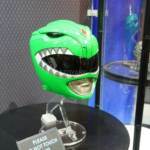 One of the items on display at this year’s San Diego Comic Con was the upcoming EFX Collectibles Mighty Morphin Green Ranger helmet. We took a full gallery of this gorgeous item – check it out by clicking the title of the story. 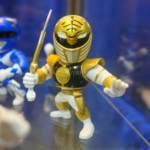 Toy company Jada had the Metallicfigs Mighty Morphin Power Rangers on display at their booth at this year’s San Diego Comic Con. Check out our full gallery by clicking the title of the story.